Originally known as Yang Tao, the kiwi fruit originated in China. Chinese missionaries brought these unique tasting fruits to New Zealand and they were soon after renamed Chinese gooseberry in the 1960s. Once they were popularized in the United States, their name changed once again to the Kiwifruit, paying homage to the national bird of New Zealand, the Kiwi. Kiwis are available year round. California-grown kiwis are available November through May and New Zealand kiwis are available June through October. Kiwis should be about 3 inches in diameter with brown fuzzy skin. The skin should be smooth and not wrinkled. When you press on the flesh, it should give mildly. If it is hard, much like an avocado, it needs time to ripen. Kiwis should be left at room temperature to ripen, but can be stored in the refrigerator as well. Consuming a perfectly ripe fruit will yield the most nutritional value. What have we done with kiwifruit? Check out our recipe for this delicious Kiwi-licious Smoothie. Watch how we peel a kiwifruit with a spoon here. “Kiwifruit.” World’s Healthiest Foods, 26 Jan. 2018, www.whfoods.com/genpage.php?tname=foodspice&dbid=41. So you reacted to gluten on your food sensitivity test, now what? At the end of the day, you probably just want to know- what do I eat? Which, I promise we will get to. But first, it is important to understand what your culprit is so you at least have a general idea of where it’s found to better avoid it. Gluten is a protein found in the following grains: wheat, spelt, malt, barley, and rye. While you may not necessarily be eating these grains whole, like pearled barley with your steak, a sandwich on rye bread, or cream of wheat for breakfast- these are all very common ingredients in a lot of processed and packaged foods. So if you want to see the best possible results with your food sensitivity testing and are currently eat packaged foods, you are likely going to be replacing a lot of these with alternative products. The “obvious” foods that will contain gluten are baked goods and anything made with flour. This includes: bread, pasta, pizza, muffins, tortillas, cookies, pastries, cakes, etc. The not so obvious ones will be products like: flavored snacks, spices, sauces (soy, Marinara, Worcestershire), dressings, processed meats, gravies, beer, candy, seitan, panko, orzo, udon, couscous and grains that are derivatives of wheat like semolina, faro, durum, and bulgur. The good news is- YES! Yes, there is. For every food that contains gluten there is likely a gluten free alternative. To ensure complete avoidance, taking on the habit of reading ingredient labels is key. You’re not likely to find the word “gluten” listed. Instead, you want to make sure the aforementioned grains (or derivatives) are not listed anywhere on the ingredient list. The easiest way to seek these for these alternative foods is by looking for a “GF” or “gluten free” or “certified gluten free” label on the product. If a product is labeled only as “wheat free”, this does not necessarily mean that that it will be gluten free. To add to the good news, you don’t have to go to a “special store” to find gluten free options. Many grocery stores carry a variety of gluten free products. Depending on the set-up, some may have it in the same aisle as the gluten contain food you may be looking for, or they may be in its own special section. If you are not sure, just ask an employee. One example, gluten free breads almost always come frozen; so be sure to check out the bread section in the freezer aisle for your gluten free options. If options are limited at your regular grocery store, then you may want to consider your local health food store, as they may carry a wider variety of gluten free products. With the good news also comes the not-so-good news. Gluten free products will perhaps not taste like their gluten-containing counterparts and will likely be more expensive. Keep an open mind when it comes to these alternative options; if you didn’t like the gluten free bread or gluten free cracker you picked up, try a different brand next time you are at the grocery store. To try and keep your grocery bill from skyrocketing with this new eating pattern, consider naturally gluten free foods such as fruits, vegetables, meat, poultry, seafood, nuts, seeds, beans, legumes, and the following whole grains: amaranth, buckwheat, corn (organic, non GMO), millet, oats (gluten free), quinoa, rice, sorghum, tapioca, teff, wild rice. Lastly, a common misconception of gluten free products is that they are healthier. The truth is, a cookie is a cookie- gluten free or not. In fact, the gluten free alternative may have more sugar and processed fats compared to the gluten containing one. It is important to not lose sight of promoting positive eating to reach your wellness goals. Choose naturally gluten free whole foods first and implement your processed gluten free products as needed. Changing eating habits is a difficult, sometimes intimidating, task to take on and may not necessarily be achieved overnight. However, with guidance, planning, and an open mind, living a gluten free life can be enjoyable and fulfilling! Ashat, Munish. Kochhar, Rakesh. (2014). Non-celiac gluten hypersensitivity, Tropical Gastroenterology, 35 (2): 71-78. “The Gluten-Free Diet.” Beyond Celiac, www.beyondceliac.org/gluten-free-diet/overview/. Halloween is an exciting time of year for kids and adults alike. The excitement of costumes, parties, and the cooler air makes it easy to get everyone in the family involved for a fun Halloween party. Whether it’s a pumpkin carving party or a huge Halloween bash, these ideas are sure to inspire you. Who needs candy when you can make these fun AND healthy treats? 1. In addition to carving pumpkins, why not carve oranges? 2. 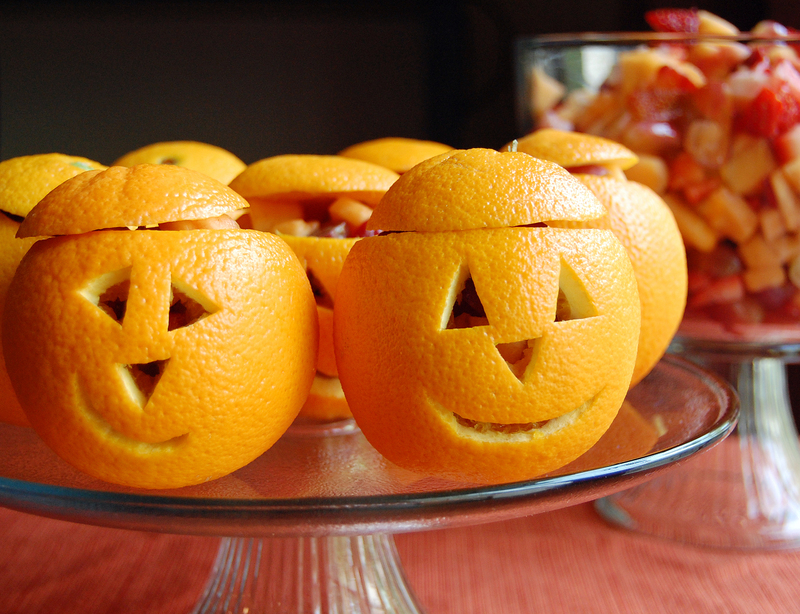 You don’t even need cookie cutters to make these fun Halloween sandwiches! 3. 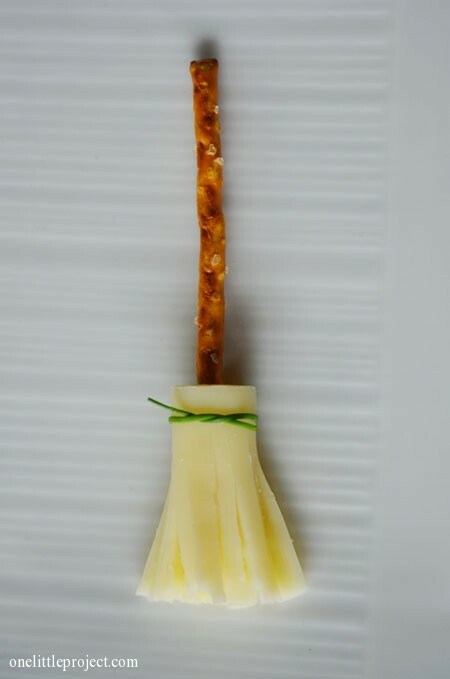 We made these fun broomsticks last year out of pretzel sticks and string cheese! Catch the video of making them in next week’s post. 4. Sliced apples, strawberries and sunflower seeds are hysterically funny Halloween bites. 5. 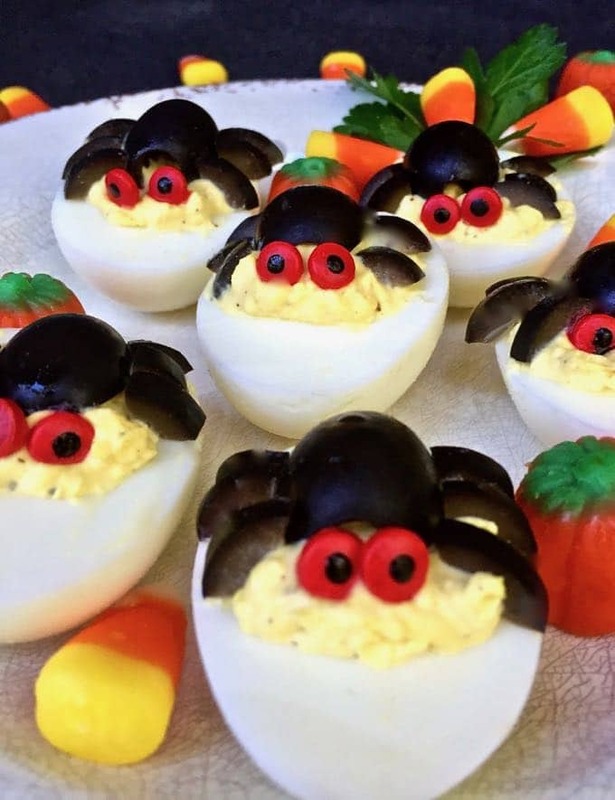 These hardboiled eggs turn into the perfect nest for some scary spiders. 6. Get the kids involved in carving scary Halloween melons to make a cute fruit platter display or candle display! Stefanie Gates, chef, is a regular contributor to our blog and culinary advisor for PreviMedica. She enjoys developing recipes and creating cooking videos to share with our readers, as well as working one-on-one with our clients to teach them valuable cooking skills. Her main recipe tester is her 20 month old son. You can learn more about her here. Making simple changes to your favorite dishes can go a long way when it comes to your health. We have compiled a list of our staff’s favorite meals and proposed some simple changes to a few key ingredients to make them over into something a tad healthier. No matter what your journey is – eating healthy, losing weight, or avoiding food sensitivities, we all can benefit from making healthy changes to how we live! Healthy Swap: Switch out the pasta for thinly sliced vegetables such as zucchini, yellow squash, or ribbons of carrots. Layer the vegetables with cheese and sauce. By replacing the pasta with vegetables you are drastically cutting down on carbohydrates and increasing your vegetable intake – a bonus! Healthy Swap: Instead of corned beef, think about using nitrate free turkey. Make your own thousand island dressing (we really like this recipe), and choose a gluten free rye-style bread. Healthy Swap: This thick and creamy comfort food is easily made with gluten free flour, non-dairy butter type spread, and white meat chicken. Instead of using heavy cream, use a non-dairy milk such as almond or organic soy milk. Season generously and stir in lots of chopped veggies. Healthy Swap: We won’t beat around the bush with this one. This recipe is made with cashews! You won’t even know the difference – it is a well-loved dish in our office. Healthy Swap: There are so many ways to make meatloaf a little bit healthier. Replace regular bread crumbs with ground oats (gluten free if needed), use ground turkey or chicken in the place of beef, and add in chopped vegetables such as carrots, onion, celery, spinach, kale, peppers, etc. You will have a veggie-packed meatloaf in no time! Healthy Swap: Instead of the creamy butter and milk filled potatoes, change your line of thinking to a smashed potato. Boil your potatoes as usual, smash the potatoes with a masher, and stir in good tasting olive oil, salt, pepper, and fresh herbs. Healthy Swap: Bread your chicken with gluten free bread crumbs, almond flour, or even chia seeds! The options are endless. Season your breading with whatever your favorite spices are and bake in the oven or sauté on the stove top. No batter or deep frying found here! Healthy Swap: Using a mandolin, cut the potatoes to the desired thickness. If you don’t have one, cut the potato into wedges with a knife. Toss with olive oil, salt, pepper, and any other seasonings you desire. Bake in a 400°F oven until they are brown and crisp. Healthy Swap: Substitute regular pasta for whole grain or gluten free pasta, make your own marinara, and use grated vegetables mixed throughout along with half the cheese and more Parmesan than mozzarella. Healthy Swap: Instead of breading and frying your chicken cutlet, simply toss the chicken in seasoned almond flour and pan fry until cooked through. Serve on a bed of whole grain or gluten free spaghetti and cover with homemade marinara and a topping of Parmesan cheese. Bake to melt the cheese. Healthy Swap: While lamb is delicious, it is very fatty! Try a blend of lamb and lean beef, or forego the lamb altogether and use ground chicken or turkey. Mix in all of your favorite vegetables (peas, carrots, celery, green beans, spinach, etc.) and top with a layer of mashed cauliflower. Bake until heated through and bubbly! Healthy Swap: Oh delicious ice cream. Instead of opting for the dairy filled version, make your own with coconut milk! Be sure to use the full fat version for the best results. Instead of using a ton of added sugar, skip it all together and use spices and extracts that give the impression of sweetness such as vanilla, cinnamon, nutmeg, or almond extract. You don’t even need an ice cream maker!